Do you struggle using knives while preparing your food ingredients or training your young adults in the kitchen? Well, this Clever Chopper is the ideal solution. 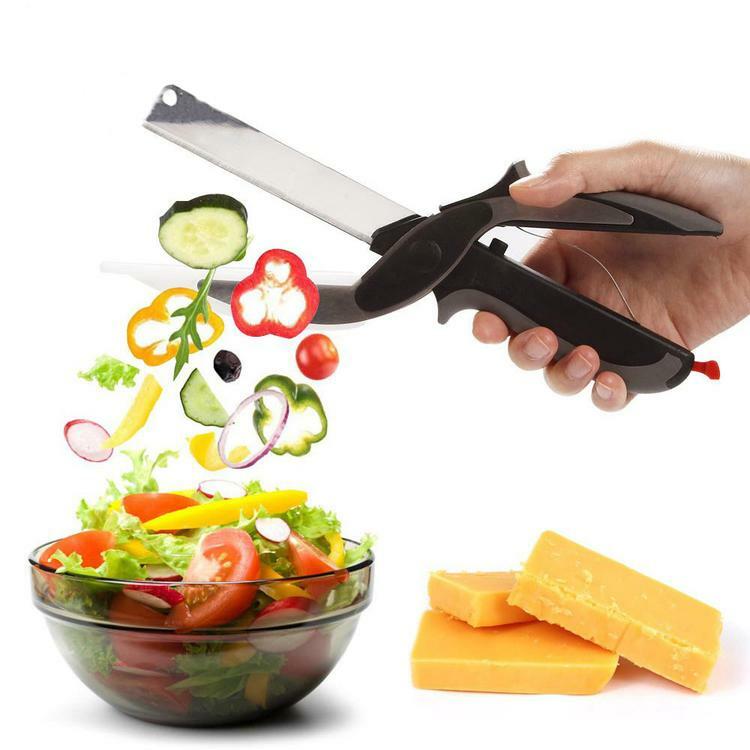 This Clever Cutter looks like a pair of scissors but it is really a knife and chopping board in one. Less wasing up! Works on all ingredients including meats, cheeses, vegetables. Speeds up meal preparation time and cleaning up time to allow you to prepare freshly cooked meals with ease.